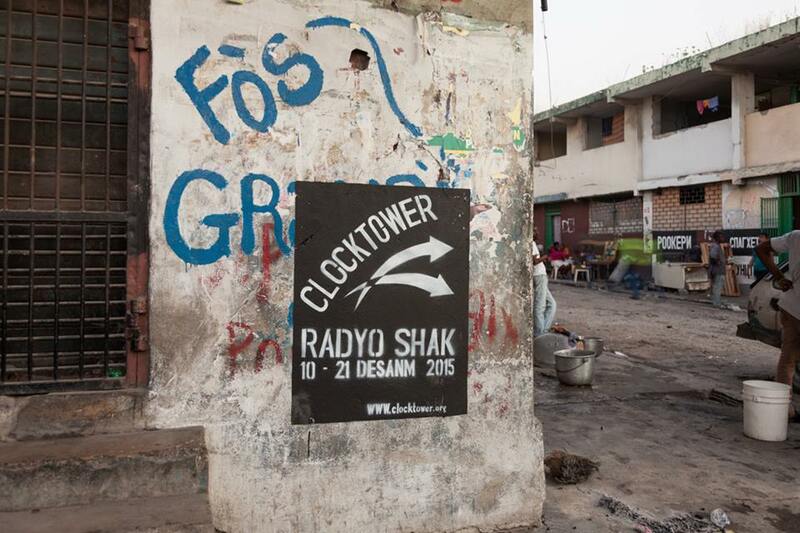 Plagued by technical difficulties and bandwidth issues, and hoping literally to get into the spirit of broadcasting live from Port-au-Prince, the Radyo Shak team commissioned a small vodou ceremony to initiate the Shak and set the Radyo Shak on an auspicious path. 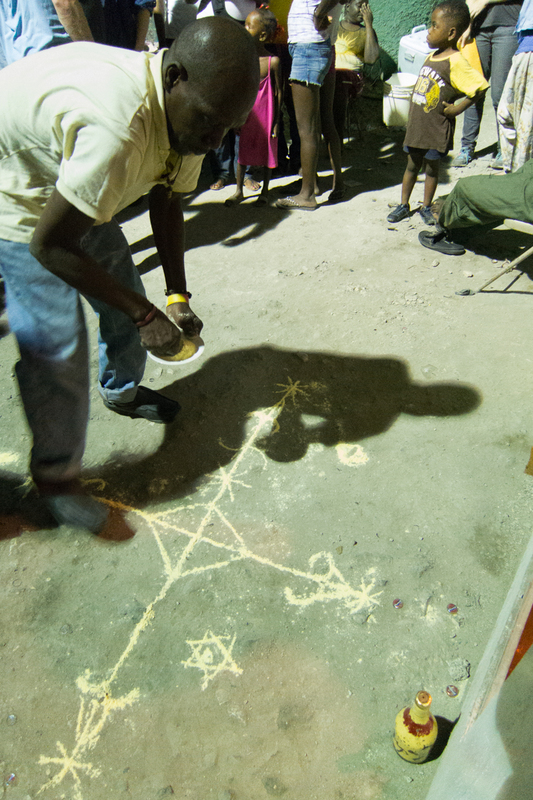 Local Grand Rue houngan, or vodou priest, Papada agreed to perform this ceremony for a very reasonable fee, and so one evening at dusk he brought a plate of cornmeal, some candles and cane liquor, and traced a vévé for the lwa or spirit, Legba, on the ground at the doorway to the Shak. The ceremony is initially almost silent, but, as the crowd swelled and passersby gathered quietly to watch, the Shak’s own Richard Fleming decided to narrate the events that were unfolding. The audio steps the listener through the ceremony in a manner akin to a 1950's science documentary narrator. 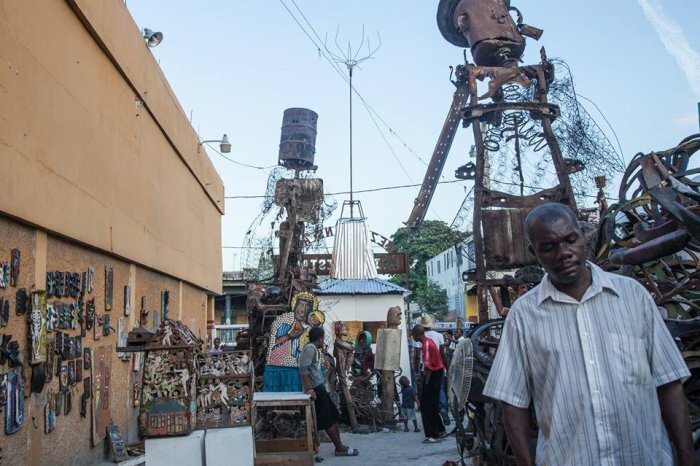 As the ceremony continued, Papada began to sing, followed by local Alphonse Kettie. At the end another passing houngan joins in, rounding out a series of vodou songs to various lwa.